Today, April 5, 2016, is the centenary of Retro Set fave Gregory Peck; beloved actor, philanthropist, and model humanitarian. 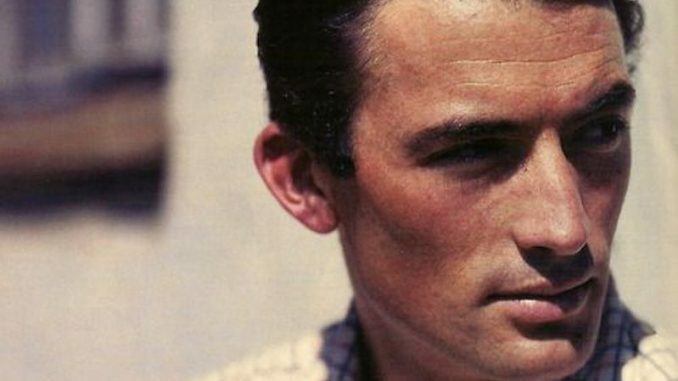 Peck was viewed as the ultimate good guy, a role model both on and off screen for millions of fans. 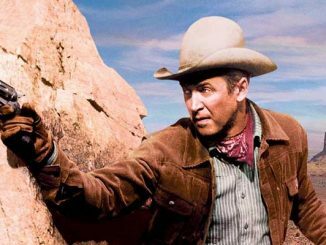 He often played complex, yet familiar, morally upright characters, like his Academy Award winning performance as Atticus Finch in To Kill a Mockingbird. 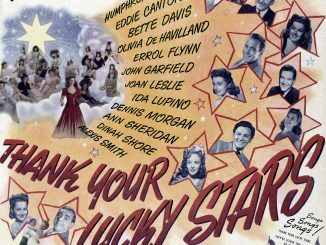 Even when he portrayed a cad, like the lecherous Lewt in King Vidor’s Duel in the Sun (1946), he still maintained his good guy street cred with fans. It’s been almost thirteen years since Peck’s passing, and it’s hard to imagine how we have lived without his decency, wisdom, dignity, and fervent activism for marginalized groups all over the world, which he displayed right up to his final days. Fortunately, we are not only blessed with works from his long film career, but we continue to see his legacy reach new, younger generations. Join us today as we celebrate 100 Years of Gregory Peck. 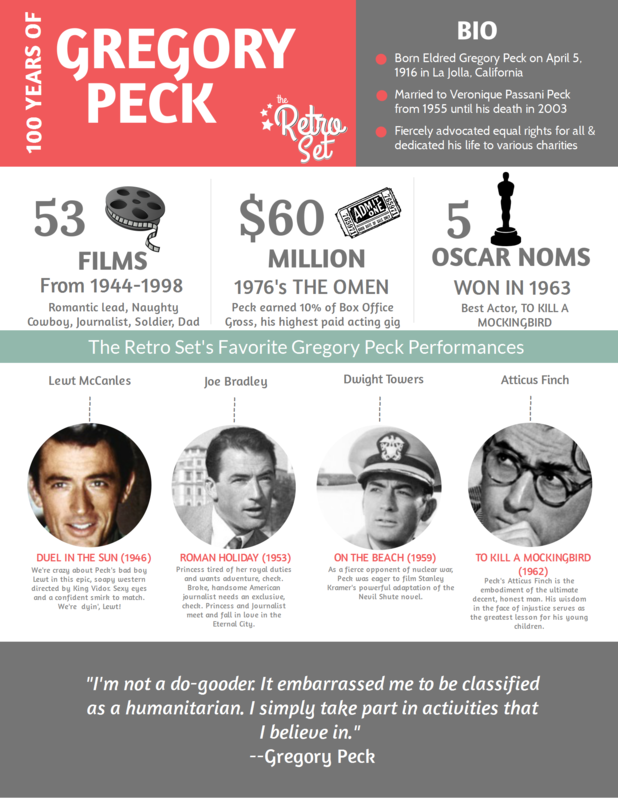 Share this piece with your friends, watch a Gregory Peck film, introduce a newbie to one of his performances. How do you plan on celebrating? Let us know in the comments.